Do you feel like your pain has spiraled out of control and want to hit the reset button? Ketamine infusions to treat chronic pain are an exciting new therapy that we offer here Oklahoma Pain Center. Ketamine is a strong anesthetic drug with pain-relieving properties. When given by IV infusion, it can be a safe, noninvasive alternative to effectively control your pain. Ketamine works by blocking specific receptors in your nervous system called NMDA receptors. These receptors have been found to play an important role in chronic pain pathways. It essentially functions by “re-setting” your nervous system. What do you treat with ketamine? 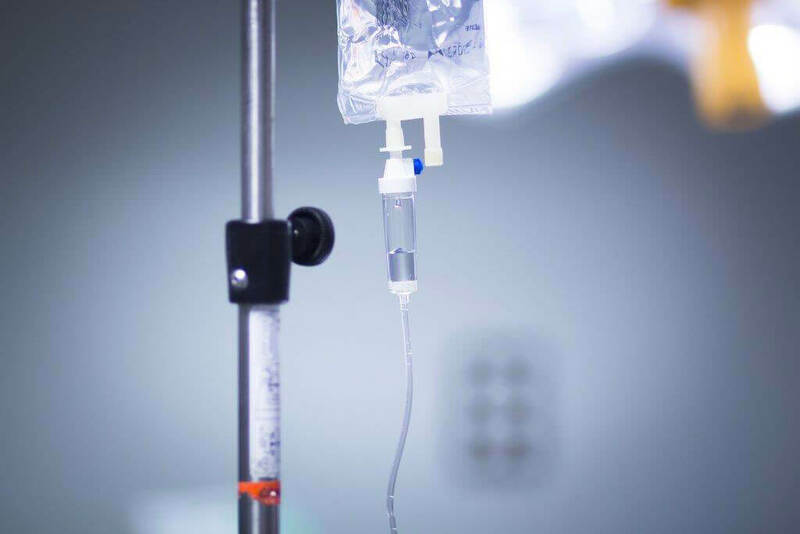 Ketamine infusions can help with many different types of chronic pain including complex regional pain syndrome (CRPS), migraines/headaches, peripheral neuropathy, trigeminal neuralgia and fibromyalgia. Ketamine infusions have also been shown to help with anxiety and depression. Ketamine therapy works best when it is administered by a slow infusion over several hours and on consecutive days. We recommend starting with a 4-hour infusion on 3 consecutive days. Every patient is different. There is no way to determine how many infusions you will need. Sometimes it will need to be repeated a few months later for maintenance. What happens during the infusion? The infusion will take place in a calm, quiet environment in a comfortable chair. We will obtain a small IV in your arm or hand. We will attach some monitors to keep track of your heart rate and blood pressure. When the medication is started, most patients will get sleepy and take a nap. You will not be under general anesthesia. You will be able to answer questions if needed. Some patients prefer to listen to music, and we provide noise-cancelling headphones to help you relax. Sometimes the medication will make you feel anxious; we will give medication to help with this if needed. Most patients will experience significant, if not complete pain relief on the day of the procedure. Maintenance infusions may be required to sustain the effects. No, insurance does not cover this because it is considered an off-label use of ketamine. However, you can use a Health Savings Account (HSA) or our financing options to help cover the cost. At Oklahoma Pain Center, we strive to offer the safest, highest-quality care. Your ketamine infusion will only be administered by a physician who is board-certified in anesthesiology and pain medicine. $800/day which includes a 4-hour infusion. (Your initial consult fee will be applied to the price of the infusions if you are determined to be a good candidate). No referral is needed. Call today to schedule a consult!